Savana is GMC’s one of the coolest production and to offer the desired respect, you are at the right place at the right time as Savana HID Kit are priced just right for your Savana. Your Savana HID kit will be delivered within 24 to 48 hours as we believe in total customer satisfaction. We provide a one year warranty with all our HID kits. Savana HID kit are in stock and ready to ship. 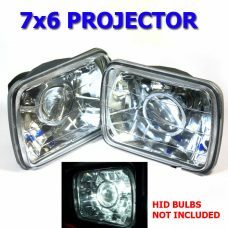 We offer all kinds of HID upgrades for your Savana the range goes from 6000K to 30000K kits, along with this we offer quality accessories to complete your upgrade from the low quality halogen lighting to the true HID lighting. We carry the state of the art Savana Philips HID kits which are the industry leading HID kits at very reasonable prices. Secondly we offer wire relay harness which gives you complete satisfaction of mind as the stock wiring is not custom build for these heavy duty lights. All this now just a click away and the installation is very easy it’s a 3 step process and all our products have an installation guide to walk you through the process which is an easy installation and plug and play system.